After work Monday night, Brett and I printed the manuscript for the third volume of his Classic Home Video Games book series. We took a few more photos and burned three CDs to send to his publisher. 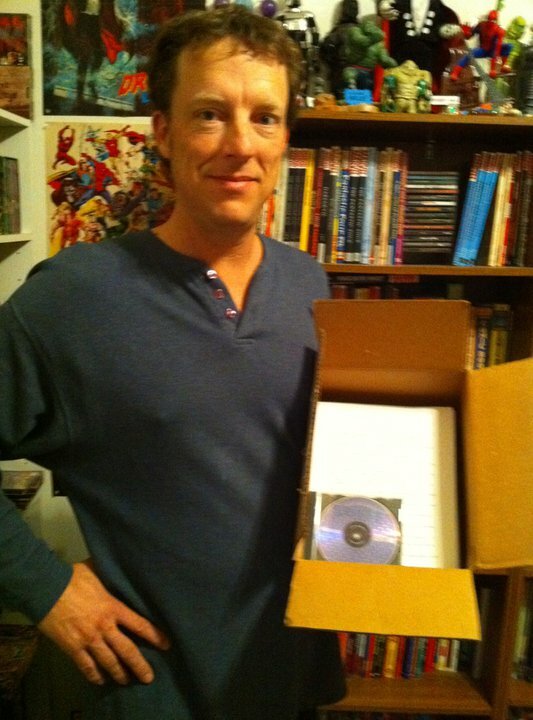 From Brett's blog: "Finally, after 2 1/2 years, 166,075 words, 115 photos, 100s of hours of research, and way too many 4- and 5-hour nights of sleep, my 711-page manuscript for Classic Home Video Games, 1989-1990: A Complete Guide to the Neo Geo, Sega Genesis, and TurboGrafx-16 is ready to put in the mail [Tuesday]." I'm so proud of Brett for his hard work on this and all of his writing projects! We can't wait until we can get that third book in our hands!